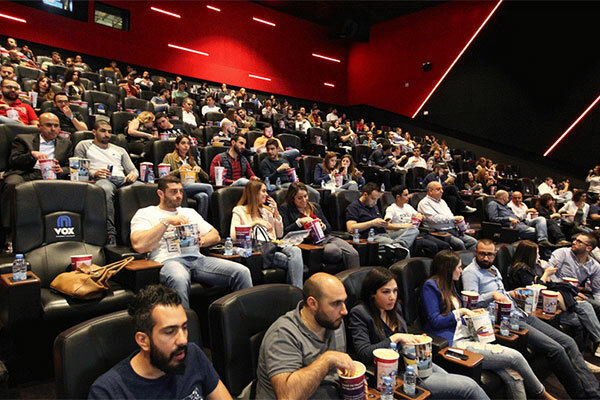 More than $3.54 billion investment in cinema screens across the Gulf is expected to help the region’s cinema industry expand manifold, said organisers of the upcoming inaugural Mena Cinema Forum in Dubai, UAE. As many as 45 specialists will address an audience of more than 450 delegates from 30 countries, backed by 60 sponsors, will participate at the event to be held at the Grand Hyatt Hotel from October 28-29. Dubai-based developer Majid Al Futtaim market leader in retail projects, shopping malls, operator of Carrefour hypermarket chain in the Middle East and owner of VOX Cinemas, stated it will invest $540 million (Dh2 billion) in 600 screens across Saudi Arabia, after making an announcement of $300 million in other GCC markets. The expansion of the region’s box offices and the industry’s evolution provides massive opportunities as well as comes with challenges – many of which will be addressed at a two-day Mena Cinema Forum – the first ever business conference to the regional market will to be held at the Grand Hyatt from October 28-29. “The cinema industry in the Middle East is entering an exciting phase with the opening up of the Saudi market after 35 years and Mena Cinema Forum will bring the developments under a series of focussed discussions in two days,” said Leila Masinaei, managing director of GM Events, organiser of the Mena Cinema Forum. Valued at $26.4 billion in 2016, the Middle East Cinema market’s forecasted growth at 7.4 percent amounting to over $35 billion, according to PriceWaterhouseCooper (PwC) presents an unprecedented business opportunity for global brands keen to penetrate a lucrative market. “The whole event will become a festive place with lots of networking events and cinema screenings while we anticipate a number of celebrity appearances to complement the business conference on the cinema industry,” Masinaei added.